Scalarama began back in 2011 with the stated aim of “celebrating and uniting all the different venues, film clubs, and enthusiasts across the world who believe in showing films to others.” Now returning for a sixth outing, this year’s festival will involve over 250 events and span the UK. Key participating cities include Brighton, Bristol, Glasgow, Leeds, Liverpool, Manchester, and London. Supported by the British Film Institute, the festival gets under way on 1st September and will host screenings of films people want to share at independent cinemas, films clubs, and local venues. Tie-in promotions include the Scalarama newspaper, available at Fopp stores and participating venues. Highlights include the #DirectedByWomen initiative as well as a celebration of the VCR’s 40th anniversary and the UK premiere and tour of Out of Print, a documentary about 35mm film and the cinemas on a quest to save it. Other highlights include screenings of the British biker-zombie cult film Psychomania (restored by the BFI), a live soundtrack to hypnotic French film Un Homme Qui Dort performed by Animat, and Radical Home Cinema events across Glasgow. And anyone can get involved! If you’d like to hold a Scalarama event, it just needs to take place between 1st and 30th September. You can submit your event to the season via scalarama.screeningfilm.com. There’s no submission fee, and you can choose the venue for your screening. 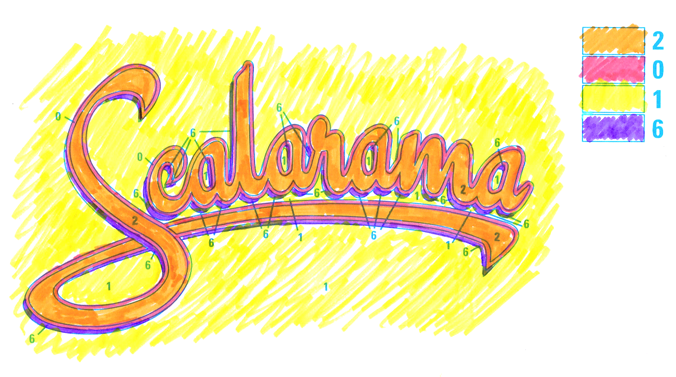 To find out more about events happening near you and how to get involved, visit Scalarama’s website. Now returning for a sixth outing, Scalarama 2016 will involve over 250 events and span the UK.